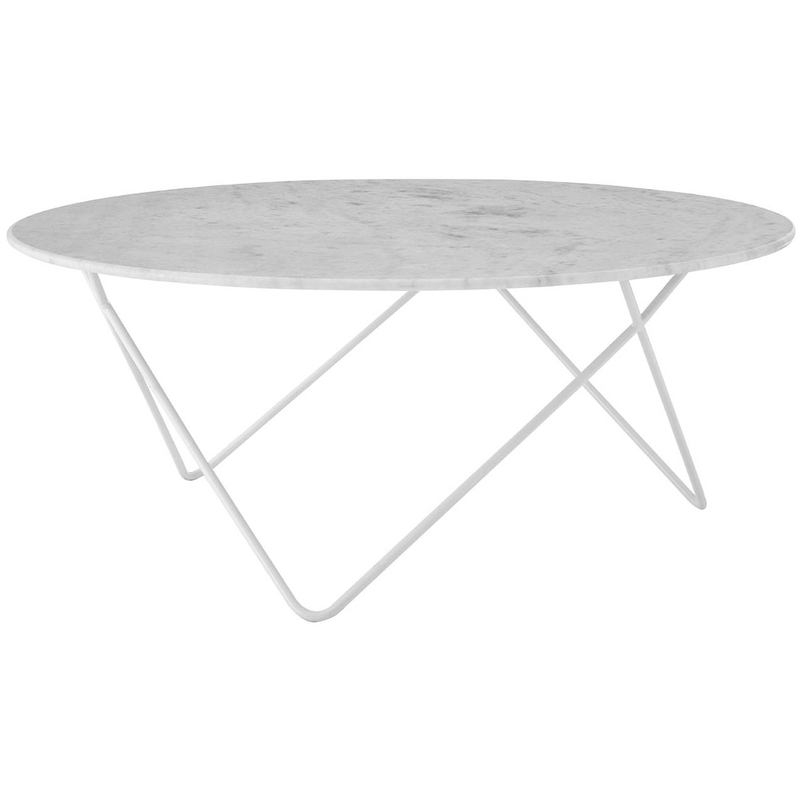 Crafted from marble and mild steel, this coffee table features a strong and slightly slanted frame which ensures durability over generations, featuring a gorgeous marble top design makes this coffee table a reliable and stylish piece of furniture. Offering some generous table top space, in the form of a round design, perfect for proudly displaying your ornaments and photo frames or simply using as its intended living purpose. With its simple but gorgeous white marble finish, lets this coffee table have the ability to fit amongst all modern styles of inteiror.